Someone, somewhere was listening to my inner most wishes. No, I have not been given the ability to breath underwater (because that has been a dream since I first saw The Little Mermaid). But, Tampa has a Restaurant Week! Better yet, it’s not the faux, limited kind of “Restaurant Week” that I saw when I was living in Naples, but more of what I know and love in Boston’s Restaurant Week/s. Some info for those who may not know about the magic of Restaurant Week… this is a serious thing. I still contemplate planning my trips home to MA solely around the twice annual Boston Restaurant Week (which actually ends up being about a week and a half) because they are that good. There are so many restaurants that participate, you can literally eat at a different place for lunch and dinner (because many restaurants offer prix fixe menus for both dining times) every day for years in a row and still not come close to covering all the restaurants. I would frequently mentally ear-mark restaurants throughout the year and then hop on OpenTable for Restaurant Week and book reservations for each night of the discounted menus. Like, I said, it’s amazing, thus the reason I’m so excited to see one in Tampa! Creative Loafing seems to have done a decent job of getting a good mix of Tampa Bay restaurants on board with this $25 prix fixe dinner menu deal from June 14-24. 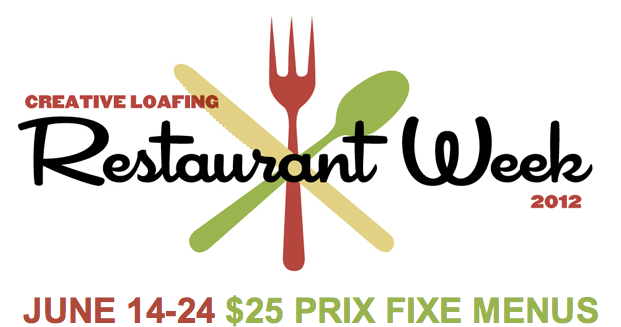 You can peruse their Restaurant Week website and click through the 70+ participants and check out their offerings. Some even offer the $25 deal for two (Stacked Burgers for example, where you can buy the Spank Me Burger… interesting)! Personally, I’m thinking about taking advantage of a dinner and a movie night in Ybor City with a stop at Tampa Bay Brewing Co. seeing as I can actually eat all three courses there. I was a bit disappointed that my favorite Tampa spot, Datz, was not participating considering the cool menus I could imagine them putting together, but alas, what can I do? Maybe they’ll realize what they’re missing next year. Do you have a Restaurant Week in your town? Have you ever taken advantage of it?